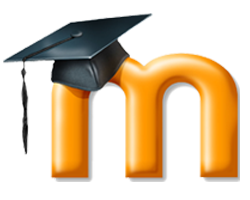 Moodle has become one of the most popular online learning content management system. It is free and open-source, with active support still going on.Moodle makes it easy and convenient to provide online assessment schemes. You can readily find tracking tools and devices to effectively monitor students' performance on real-time and individual basis. Comparison among students can be done pretty thoroughly. With Moodle, learning does not confine strictly to textbooks. You can employ other rich media such as audio lessons or video teaching kits, making the learning experience more fun and interactive. In fact, Moodle has become a tool in educational institutions for remote learning, or combined with traditional face-to-face teaching. Sign up for our UK Moodle 3.6.1 Hosting with no risk to try our excellent service start from £2.00/month! ASPHostDirectory.com offers cheap Moodle 3.6.1 Hosting to all our new and existing UK customers. You can try our services before buy it. Get FREE 7 days Trial Hosting with us. There's no obligation to buy — you can upgrade to a more robust account or cancel at any time. No risk anymore, why wait longer?